Dr. Xu graduated from Shanghai Medical College. He is a professor and doctoral supervisor in Dermatology. He currently serves as Chief of the Department of Dermatology at Huashan Hospital, Fudan Universty and Chief of the Department of Dermatology at Shanghai Medical College of Fudan University. 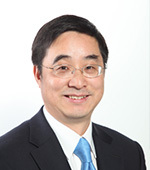 Dr. Xu holds leadership positions in numerous professional organizations. He is Director of the Shanghai Municipality Center for Clinical Quality Control in Dermatology. He also serves as Vice Chair of the China Dermatology Association of the Chinese Medical Doctor Association, standing committee member and Deputy Secretary General of the Chinese Society of Dermatology, Vice Chair of the Dermatology Committee of the Chinese Association of Integrative Medicine. He served previously as Chair of the Dermatology Committee of the Shanghai Medical Association. Dr. Xu has long focused on research of sexually transmitted diseases, allergic skin disorders and autoimmune skin disorders. In 2013 he was recognized by the Shanghai Municipality for his scientific achievements. He has led research projects sponsored by the International Clinical Epidemiology Network, the National Natural Science Foundation of China, and the Shanghai Municipality. Dr. Xu has published nearly 100 professional papers and holds two national patents in China. Dr. Xu has helped to develop award-winning textbooks in Dermatology and participated in the writing of more than ten books.